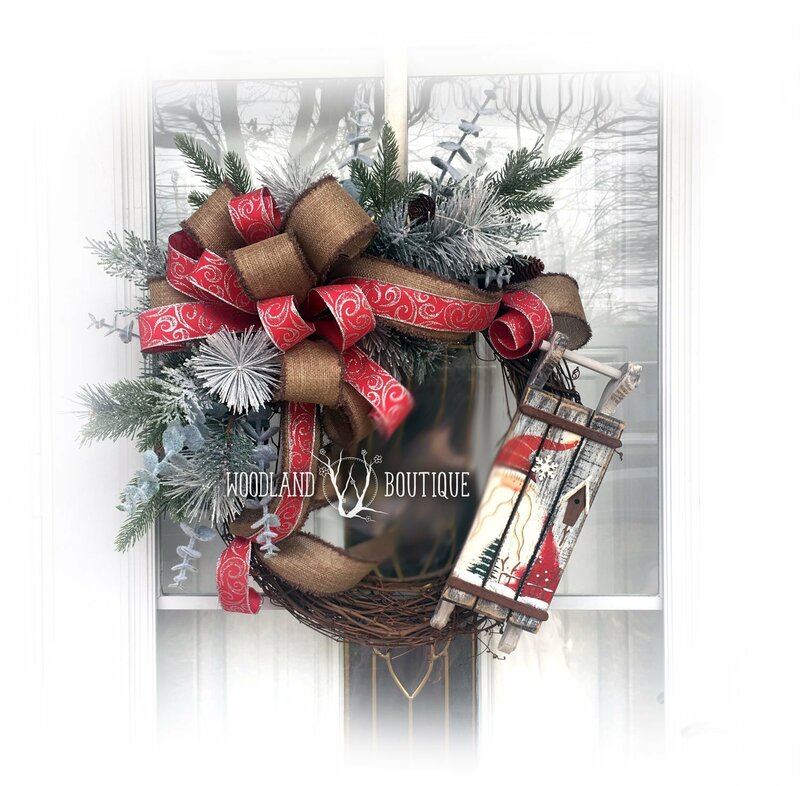 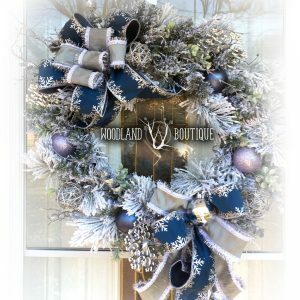 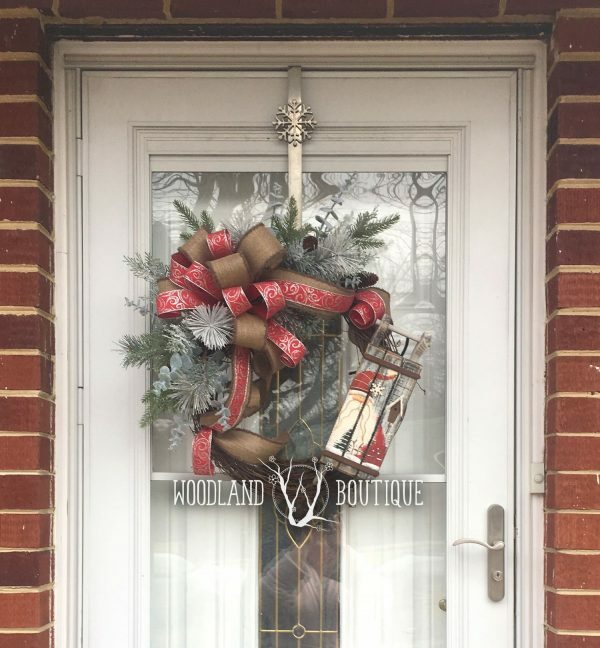 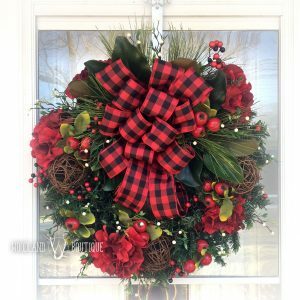 Wreath measures approximately 22″ across. See 2nd photo for size reference (pictured on a 36″ door). 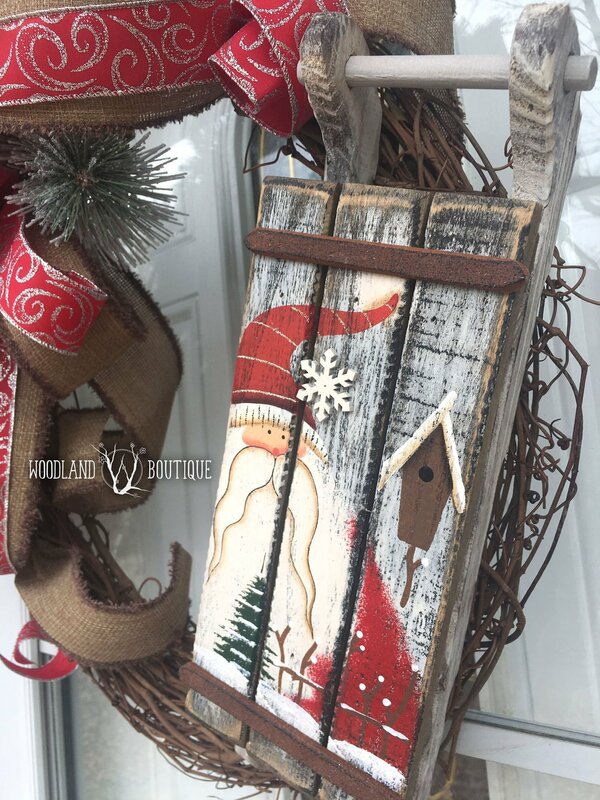 Santa adorns an adorable sled alongside a premium collection of frosty & glittered evergreens & eucalyptus, plus a whimsically styled bow with adorable ribbon tails in “swiss chocolate brown” and red with silver glitter swirls. 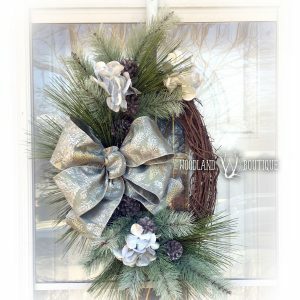 You can also buy the greenery, tan ribbon and sled to make a version of this wreath yourself. 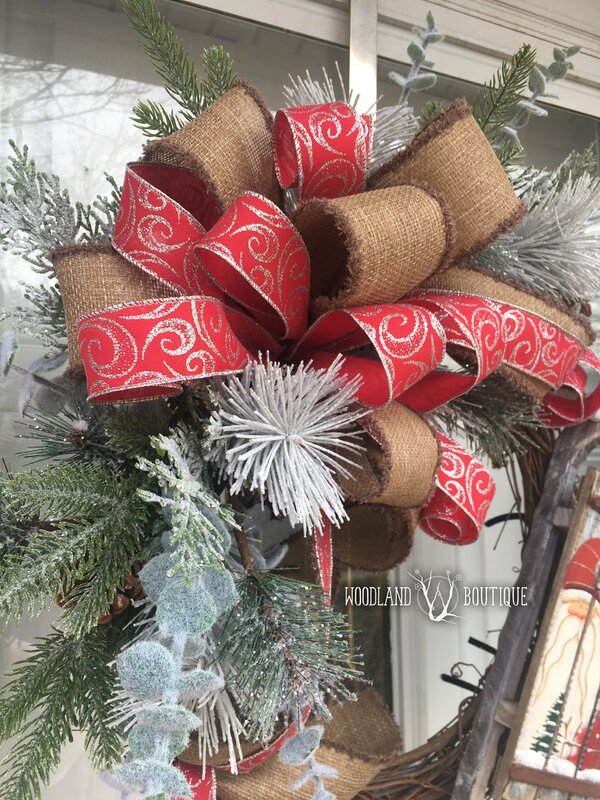 Watch as we made this wreath live!